The coast of Venezuela from Punta Aguide to Cabo San Roman and the ABC Islands Aruba, Bonaire and Cura¸ao. Scale 1:255,400. 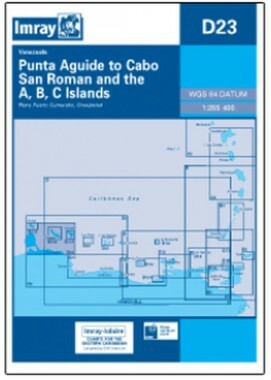 Larger scale plans of Puerto Cumarebo Venezuela and Orangestad Oruba Flat chart, water-resistant paper.